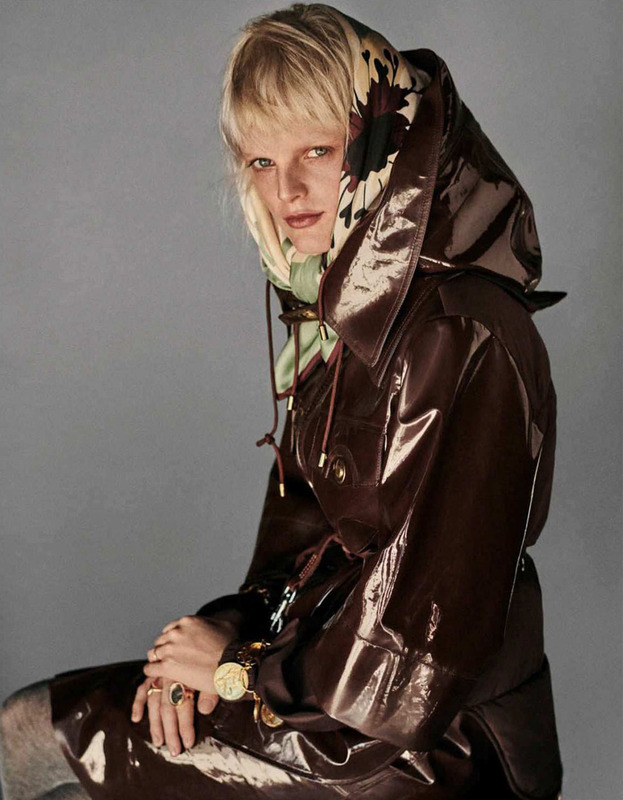 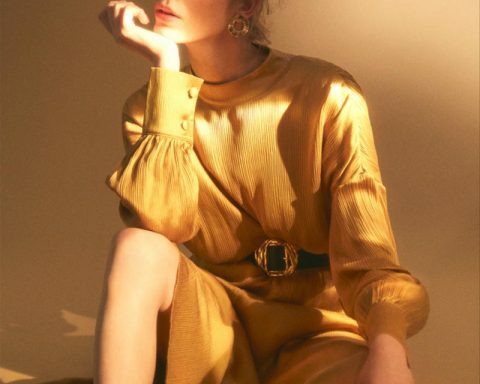 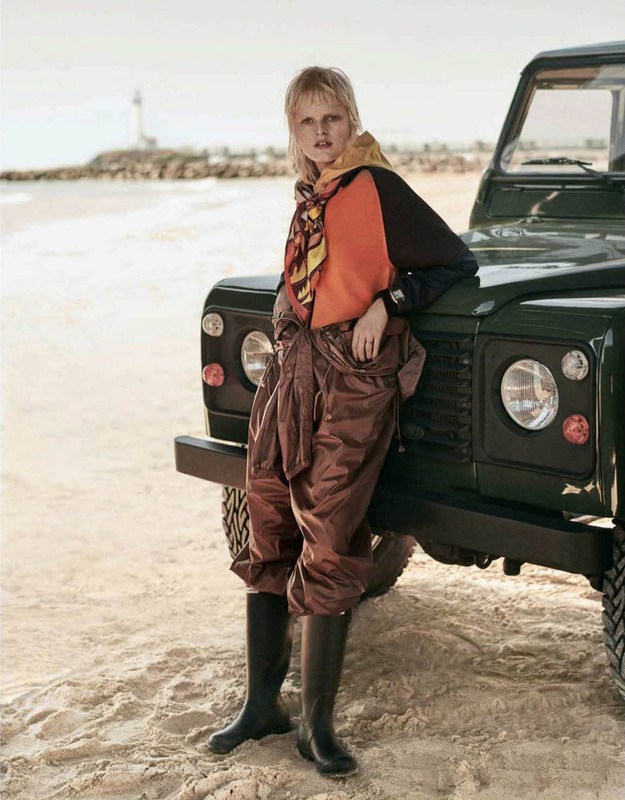 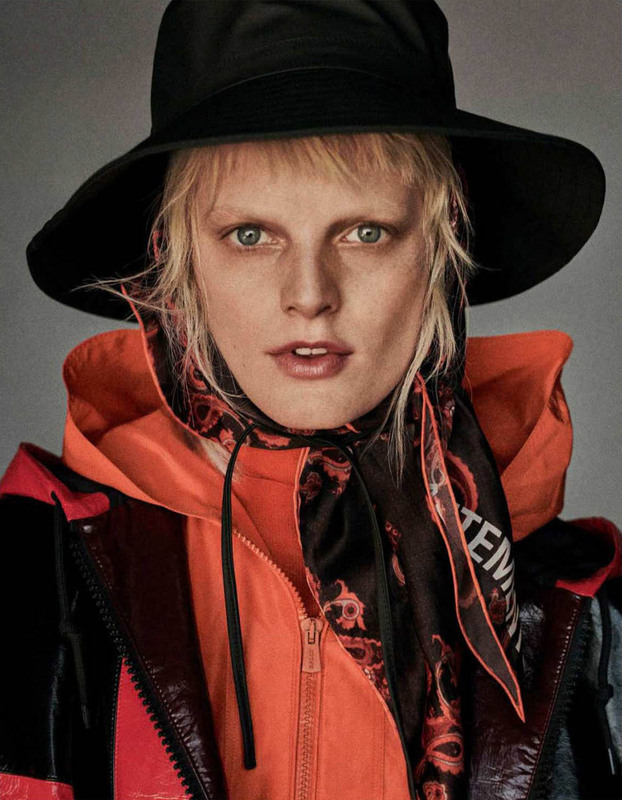 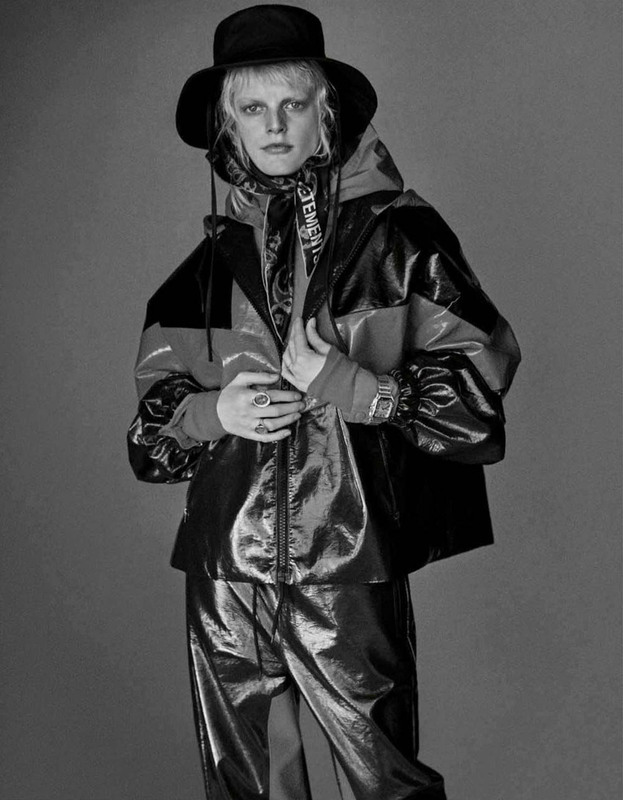 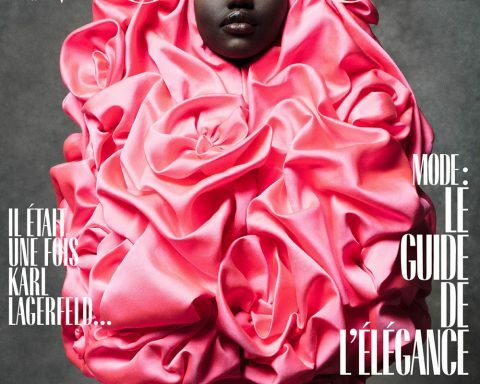 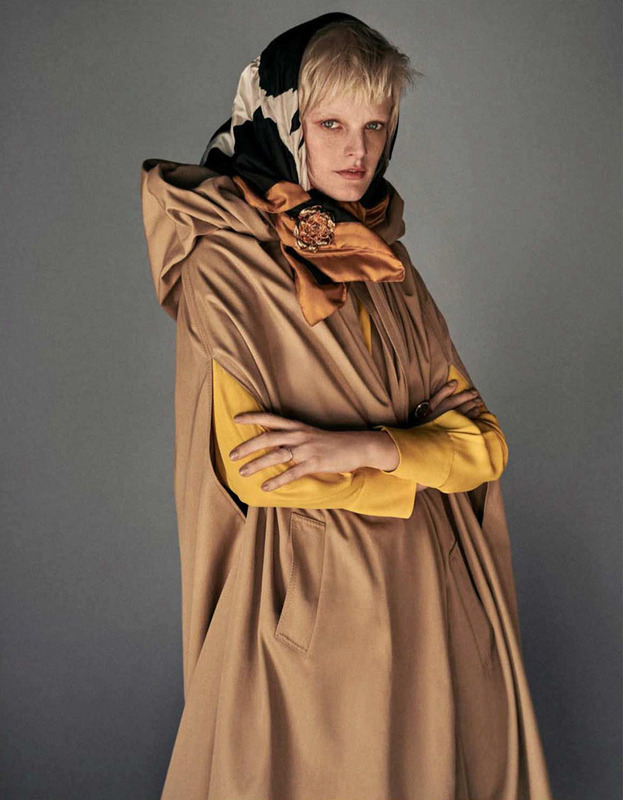 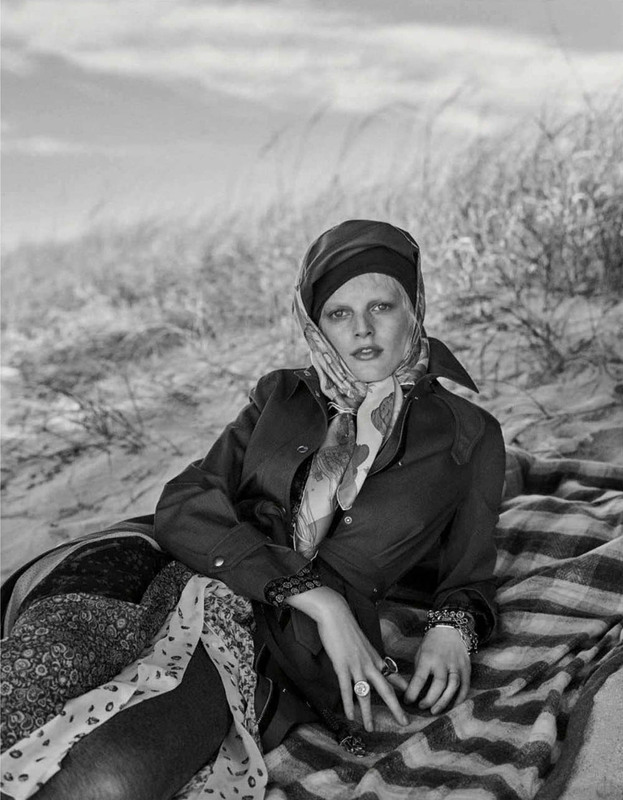 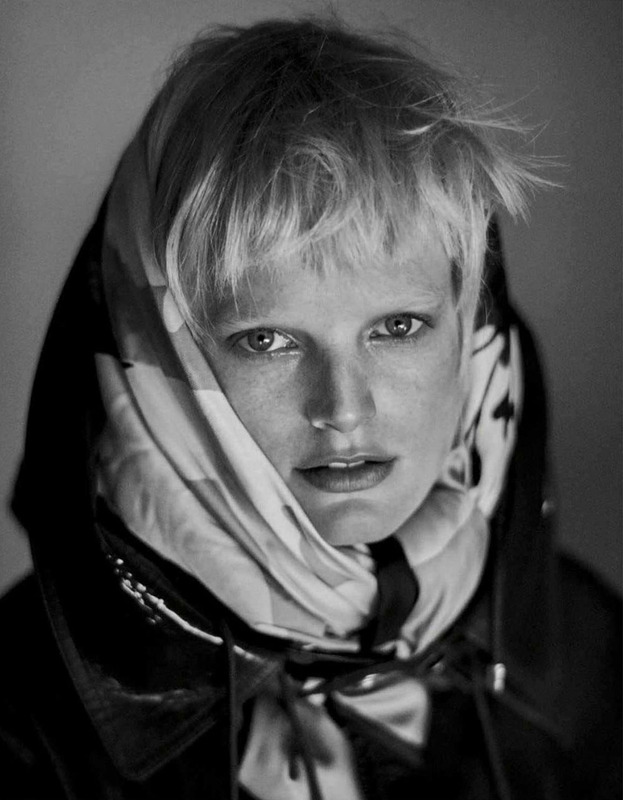 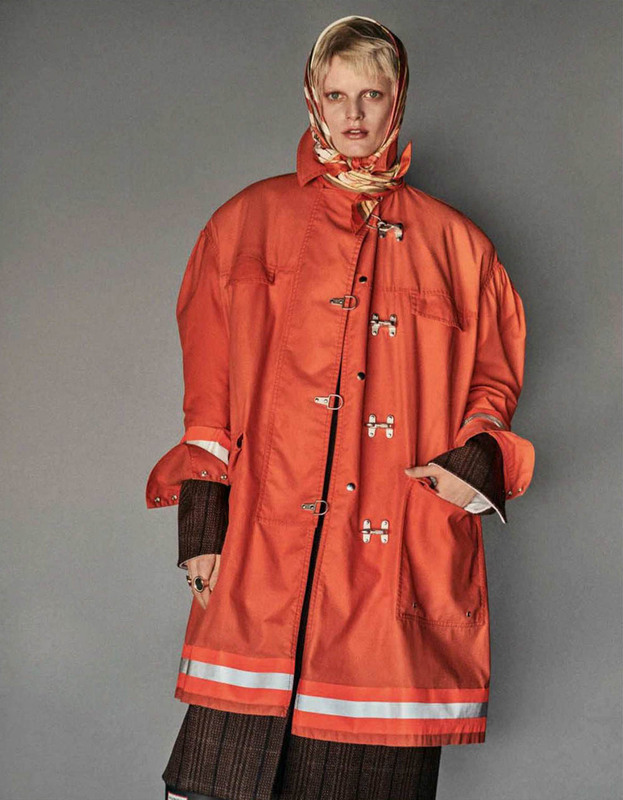 Belgian model Hanne Gaby Odiele heads to the beach in ‘’Rain, Please…’’ story for Vogue Germany’s September 2018 issue. 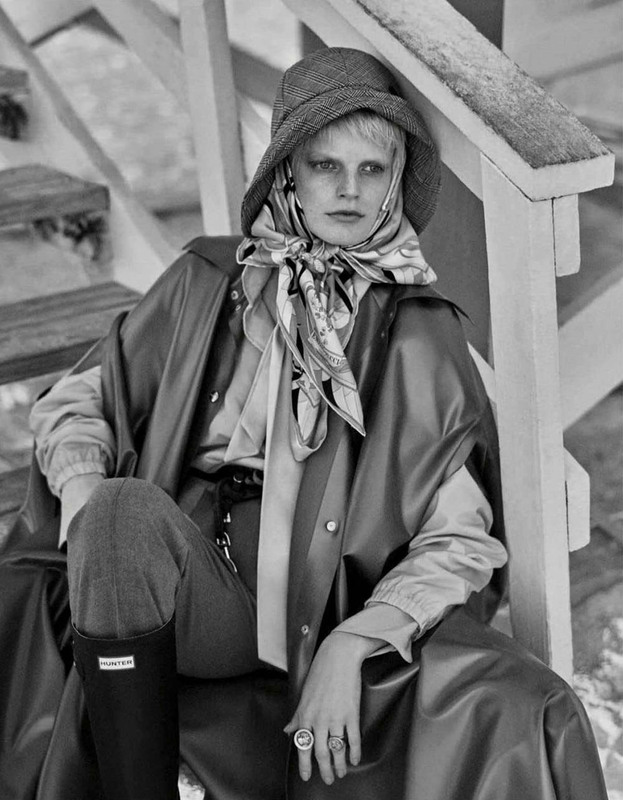 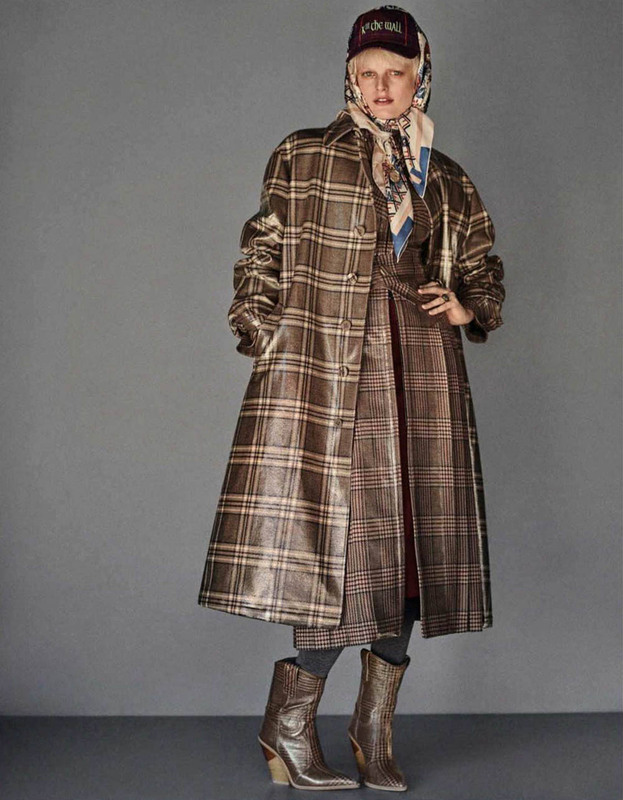 Captured by fashion photographer Giampaolo Sgura, Hanne layers up in outerwear from the Fall/Winter collections. 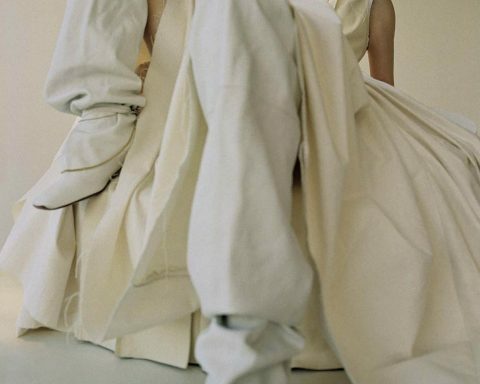 Editor-in-chief Christiane Arp selects a wardrobe featuring the designs of Calvin Klein 205W39NYC, Dries Van Noten, Jil Sander amongst others. 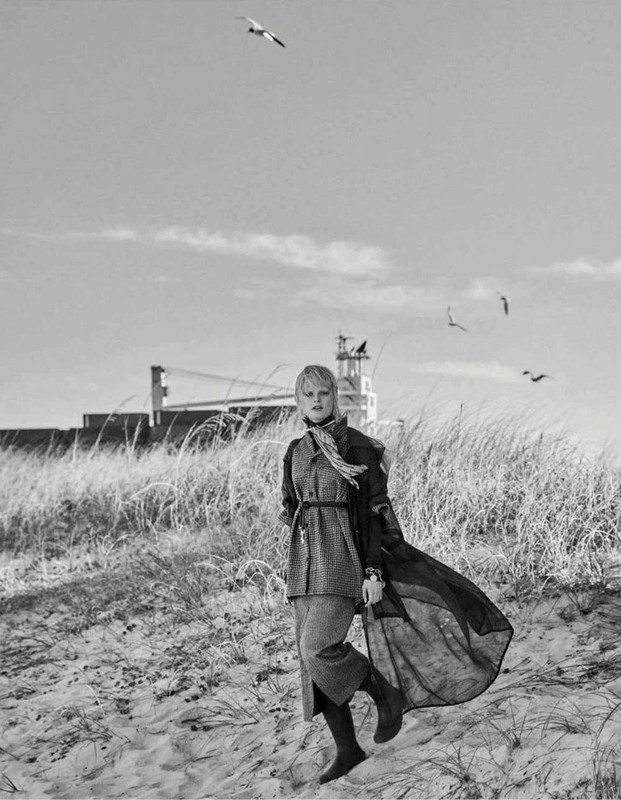 Paired with boots and scarves, Hanne stands out in each look.